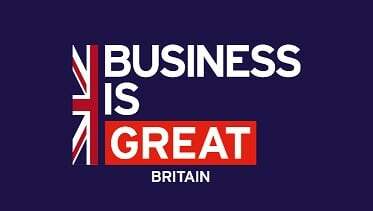 We absolutely love the UK Trade & Investment’s (UKTI) video on why international businesses setup and consider investing in the UK by extending their business operations and opportunities. Including web design in London. As massive advocates of the UK government’s overseas inward investment initiative through the UKTI, over the last few years we have become key players in the foreign markets and help support inward business opportunities in the UK. We at Amazing Support support overseas businesses and their growth opportunities into the UK. David has held positions as Operations Director and Head of IT in legal and professional firms for more than 10 years. He is a Director and co-owner of Amazing Support, a Microsoft Silver & Cyber Essentials accredited specialist Managed IT Support and Cyber Security company. David actively helps SME businesses receive better Managed IT Support and Cyber Security Services in the London and Hertfordshire areas. He also assists overseas companies who are looking to expand their business operations into the UK and helps with their inward investment IT process. A member of The Chartered Institute for IT (BCS), UK Council for Child Internet Safety (UKCCIS) and an event speaker promoting business start-ups and technology awareness. Married with a son, you will often see him riding his bicycle around the Hertfordshire towns! David participates in charity bike rides and is a keen Krav Maga practioner.